Alfred Kralik (James Stewart) is a clerk in a small leathergoods shop in Budapest, Hungary. By day, he’s a mild-mannered head clerk, his boss’s (Frank Morgan) favorite. By night, he has a secret pen pal. Some months earlier, he answered an anonymous pen pal ad in the classifieds – a young lady wanting to converse with an intelligent young man about current events, anonymously. One day, Klara Novak (Margaret Sullivan) walks into the store looking for work. Immediately Mr. Kralik bumps heads with her, but the boss likes her, so he hires her. As time goes on, Mr. Kralik and Ms. Novak develop an intense dislike for each other. Meanwhile, Mr. Kralik’s correspondence relationship is getting steamier. Finally he agrees to meet his pen pal, whom he’s already fallen in love with. They are supposed to rendezvous at a local café. He’ll wear a red carnation in his lapel, she’ll have a red carnation as a bookmark. But when he arrives at the café, he receive a shock: His pen pal is none other than Ms. Novak! Now Mr. Kralik has to decide if it’s worth looking past Ms. Novak’s crusty exterior to get to the beautiful soul he’s grown to love through her letters. And of course, there’s always the risk that when Ms. Novak learns that he is actually her pen pal, she’ll wind up rejecting him. The moment of truth takes place on Christmas Eve. If this story sounds familiar, that’s because there was a very popular remake made a while back, maybe you heard of it? “You’ve Got Mail.” Meg Ryan, Tom Hanks. This is the original, and a very cute movie. 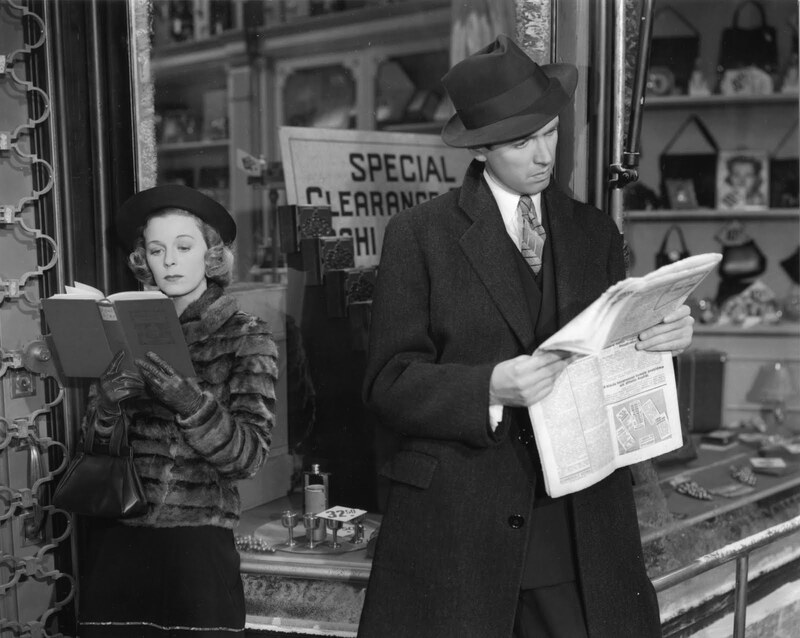 Jimmy Stewart is his typical charming everyman, and even though Margaret Sullivan’s pretentiousness can be annoying, we come to see it’s a just a front. There’s also a talented supporting cast and dramatic subplot. 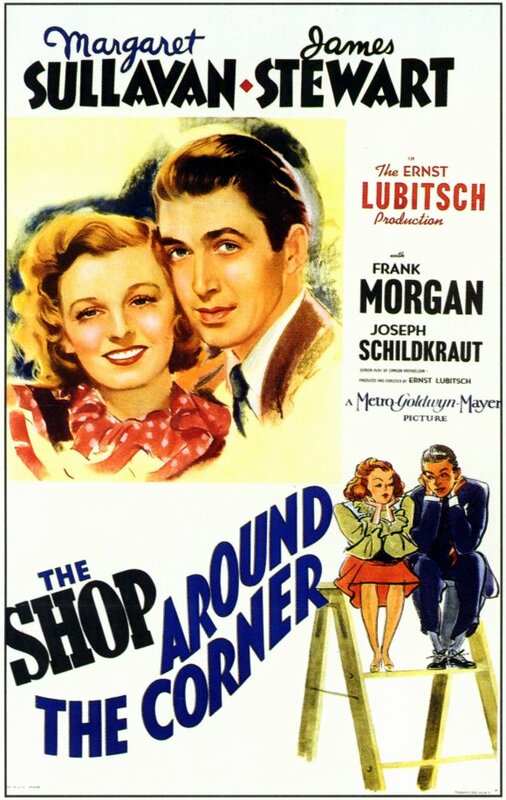 “The Shop Around the Corner” will be on TCM on Sunday, December 16 at 9:00 am CST. I hadn't heard of it till I watched You've Got Mail a couple of years ago and I love it!